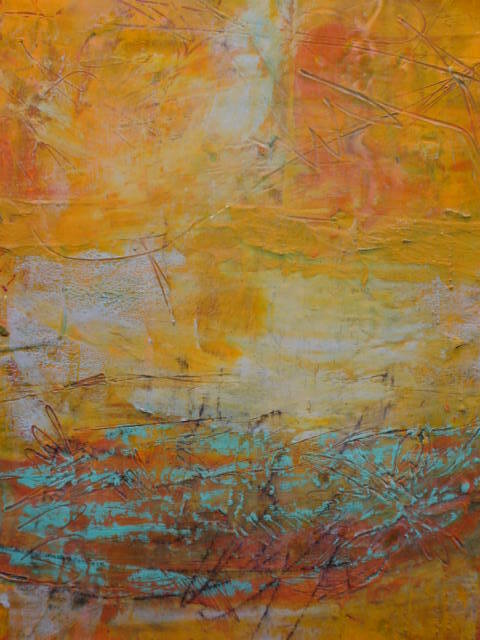 Nov. 29, 2011 - PRLog -- GREENSBORO, N.C. – Noted abstraction fine artist Cindy Walton has been chosen as one of 5 Asheville artists chosen to show selected works at Winter Show 2011, one of the most well-respected exhibitions in the state. The exhibit will feature color-driven work in Walton’s signature style, compared favorably to mid-20th century Colorist Hans Hoffman in an exhibit at Asheville Museum of Art earlier this year. Walton creates elegant, subtle palettes layered to create intricate jewel-like canvas treasures. In fact, her versatility in medium and mood captured the attention of regional art enthusiasts last fall with her introduction of the cold wax medium - consisting of a beeswax paste mixed with oil paints for a matte, layered texture - into her repertoire. The result has generated a furor of interest among discerning collectors and experts. For more information on Cindy Walton, visit http://www.cindywalton.com, and greet her at the Collector’s Choice gala opening Dec. 3.
the Collector’s Choice Fundraiser on December 3rd. Partygoers will meet and mix with exhibiting artists, including Walton, over food and wine. As the Collector’s Choice provides a rare opportunity to truly become engaged with the top art and artists North Carolina has to offer, participants have an advance opportunity to purchase pieces in the Winter Show exhibition before they are made available to the public. Proceeds from Collector's Choice benefit Green Hill Center's exhibition and educational programming. The 2011 Winter Show opens to the public Sunday, Dec. 4, with an opening reception from 2-5 p.m., and continues through Jan. 15, 2012, at the Greensboro Cultural Center, 200 North Davie St. Attendees will experience the works of featured NC artists in multiple mediums, including paintings, sculpture, photography, jewelry, woodwork, fabric and fiber works, ceramics. The selected pieces are presented in an articulated installation in which hundreds of artworks in multiple mediums may be viewed in an ensemble. Go to http://www.greenhillcenter.org for more information. Sherri L. McLendon is a conscious business strategist, coach and publicist in Western North Carolina specializing in helping women entrepreneurs leverage their expertise to attract their ideal clients, increase their incomes, and uplevel their money mindset.